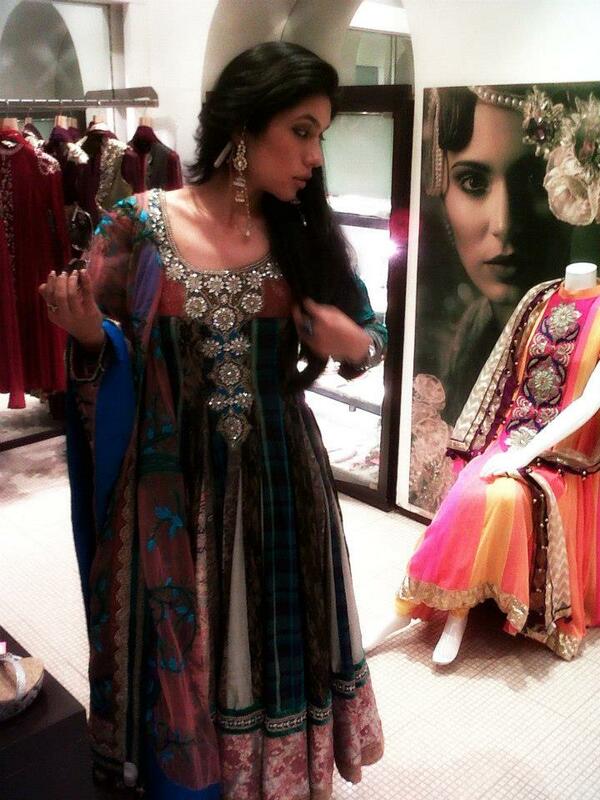 Anarkali Salwar Kameez Dresses are my personal favorites ! I absolutely love them for the styling, detailing, delicate embroidery and for the fact that they make you look so beautiful, feminine, elegant, stylish & royal – You feel just like a princess from the Mughal times. For all my Stylistas across the globe – Anarkali Dress is a combination of a long frock [kurta / kameez] and bottoms that are usually in the form of a [churidar]. It has a typical shape consists of long kurta having short, full and half sleeves, sleeves are in tight form. The kurta is fitted above the waist and normally features large pleats flowing around the legs like an umbrella. Such dresses were being used in the time of Mughal’s period in India. 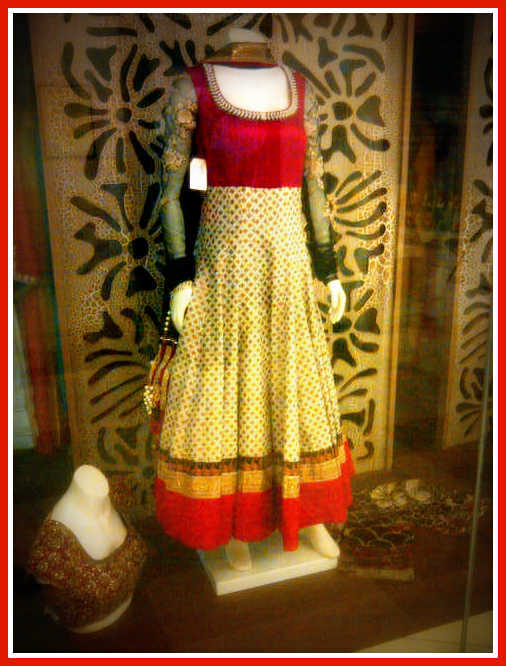 Anarkali dresses owe their name to Anarkali, a famous courtesan in the court of a great Mughal emperor. That’s me in my favorite Anarkali ! In love with both the outfits – The red Anarkali is from Meena Bazar,Vasant Kunj – New Delhi … Latest addition to my wishlist ! … The pink and blue Anarkali is from Kimaya, Meruali, New Delhi. My other favorite store is Shakuntalam – has outlets across Delhi and NCR. You could also try the designer boutiques at Hauz Khas Village, New Delhi – Ogaan being one of them and boutiques in Shahpur Jat. Exploring Shahpur Jat coming soon ! The Festival of Lights !